Spondylolisthesis x-ray imaging can positively diagnose vertebral migration conditions, as well as provide accurate grading on the degree of slippage. X-rays remain the most common and popular form of diagnostic imaging when it comes to listhesis. X-ray technology is fast, relatively safe, easily tolerated, generally universally available and inexpensive. All of these characteristics become even more important for diagnosed patients, since many will have to be regularly imaged yearly or bi-yearly for the rest of their lives, in a manner similar to scoliosis patients. X-ray allows very detailed views of the spine and its skeletal components without the need for exploratory surgery that preceded the invention of the technology. X-rays are limited in their effectiveness, since they can not accurate image soft tissues and therefore can not help to identify many of the possible consequences of listhesis on the greater dorsal anatomy. This narrative explores the use of x-rays in the identification and classification of spondylolisthesis. We will explain the risks, limits and rewards of using x-rays as part of the diagnostic evaluation process associated with various listhesis conditions. X-rays are common tests performed during evaluation of back pain. Many cases of listhesis are discovered when a person complains of pain and is subjected to a battery of exams to ascertain the possible causes. It should be noted that in these instances, the listhesis might be the actual source of pain, but in many profiles, the vertebral migration is deemed minor to moderate in severity and classified as an incidental finding on the imaging study report. X-rays might be also be performed if listhesis, or other spinal abnormality, is suspected based on atypical posture and gait, regardless of whether any pain is present. 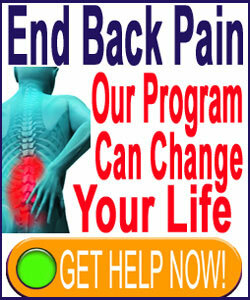 Remember that most people who demonstrate listhesis will not have back pain when diagnosed. Finally, listhesis might be discovered when x-rays are utilized to diagnose injury due to trauma or some other anatomical defect, such as broken ribs or hip issues. 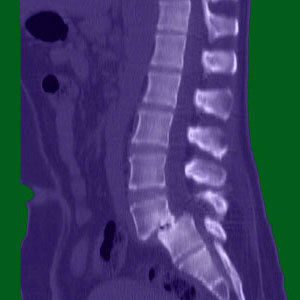 Many, many cases of spondylolisthesis are discovered when performing x-rays for completely unrelated health matters. X-rays are great tests for skeletal evaluation for all the reasons listed above. First and foremost, they are available worldwide, unlike many other forms of more advanced medical imaging, such as MRI. X-ray devices are smaller and far less expensive than MRI equipment, making them more accessible for a variety of lower budget healthcare facilities. Cost of x-ray evaluation is very low, which is a blessing for patients who are uninsured, have high co-pays or those who must pay for diagnostic examinations out of pocket. X-rays are quick and very accurate in their imaging abilities. The images produced are clear and ideal for use in grading listhesis using any of the traditional methods. Advanced digital x-ray systems often have many built-in tools in their software, including algorithms that can pinpoint the exact degree of vertebral slippage without any chance for human error or opportunistic exaggeration. X-rays offer a ideal diagnostic tool for monitoring known and asymptomatic cases of listhesis as part of a yearly health maintenance program. X-rays do have some serious downsides to consider, besides their many benefits. One of the main negative factors associated with x-rays is their limitation in only being capable of imaging skeletal tissues, neglecting to visualize the potential effects of listhesis on surrounding neurological and muscular tissues. When pain is present in association with known listhesis, MRI offers a much better opportunity to objectively ascertain whether the listhesis is pathological or innocuous and incidental. X-rays also subject the patient to radiation with each image. Proven research demonstrates that repeated exposure to this radiation is damaging to the body and can cause cancer and other serious health issues. Since listhesis should be monitored regularly, this presents a challenge for patients who want to minimize the collateral health consequences of episodic radiation exposure. Due to the fact that MRI is often disputed for coverage by many health plans, this leaves many patients in a catch 22 scenario where they can not win, regardless of which path they choose… repeated radiation exposure of paying out of pocket for MRI on a regular basis.